The Auberge de Castile is one of seven auberges that were constructed in Valletta during the sixteenth century. Built originally by the Knights of the Order of St. John, this massive building was subsequently used by the French and then the British elite. 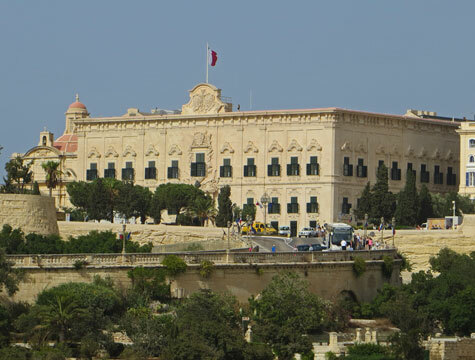 This auberge currently houses the office of the Prime Minister of Malta. The Auberge de Castile is located on South Street in the centre of Valletta Malta.